This facsimile headline is based on a true event recorded in II Kings 6:25 - MSG. On that day a donkey's head suddenly sold for eighty shekels! And a bowl of field greens sold for five shekels! Talk about economic crisis! This event represents a radical increase as a donkey's head was first of all "unclean" and would not be eaten except as a last resort; and its head would be its worst and cheapest part even at that. In addition, scholars tell us the silver weight of a shekel was worth about a day's wages! This true Bible story gets worse and I won't discuss the gory details that follow but my point is that famine, drought and sudden crushed prosperity have been around for a long time. On the bright side, God is a refuge, the Author of blessing, the Deliverer of curses and stupid human mistakes. In each episode of economic crisis, God's light and provision shines brighter and is more obvious. And always, His children down through the ages have the potential to flourish in times of famine (economic downturn) to carry out the God plan for their generation. Isaac is a shining example. The Bible tells us in Genesis 26 AMP, "And there was a famine in the land, other than the former famine that was in the days of Abraham. And Isaac went to Gerar, to Abimelech king of the Philistines. And the Lord appeared to him and said, Do not go down to Egypt; live in the land of which I will tell you. Then Isaac sowed seed in that land and received in the same year a hundred times as much as he had planted, and the Lord favored him with blessings. And the man became great and gained more and more until he became very wealthy and distinguished; he owned flocks, herds, and a great supply of servants, and the Philistines envied him." Recall with me the account of the prophet Elijah who lived through a severe drought in his day and God directed him to a specific geographic location to be completely taken care of by some of God's own creatures! Later, when his resources literally dried up, God told him to go to another location where a human being would be used to take care of him. Elijah obeyed and God performed. The entire story is recorded in I Kings 17. However, I Kings 17:14-16 MSG tells us the details about the human being God used and how both the prophet and the person participating in hospitality were blessed. "This is the word of the GOD of Israel: 'The jar of flour will not run out and the bottle of oil will not become empty before GOD sends rain on the land and ends this drought'. And she went right off and did it, did just as Elijah asked. And it turned out as he said--daily food for her and her family. The jar of meal didn't run out and the bottle of oil didn't become empty: GOD's promise fulfilled to the letter, exactly as Elijah had delivered it!" Another Bible testimony is when Joseph prophesied the famine and through God"s wisdom created an ingenious plan that caused him and his family to not only survive but also prosper. Genesis 45:11 AMP sums up God's plan: "And there I will sustain and provide for you, so that you and your household and all that are yours may not come to poverty and want, for there are yet five [more] years of famine." Job makes a declaration about God's children in Job 5:22, "At destruction and famine you shall laugh. . . ." Psalm 37:19 proclaims, "They shall not be put to shame in the time of evil; and in the days of famine they shall be satisfied." Subsequently, followers of Jesus in the last two hundred years of modern world economics have continued to be a lighthouse and source of refuge when the world goes through cyclic, and sometimes devastating, financial "corrections." R.G. LeTourneau, an inventive genius of heavy equipment, took care of hundreds of ministries, including Lester Sumrall, during the Great Depression of the 1930s. His combination of enterprise and Christian commitment led him to sponsor many works and ultimately prosper even in the midst of intense challenges. His foundation continues to this day. I believe we were born into this generation to participate in God's plans to be a part of the solution and even while we are in the midst of our involvement, to be totally and lovingly provided for. We are here to thrive abundantly. We are here to be so confident in His provision that we can stay lighthearted even when disturbing news filters through our communication devices. We are not here to be put to shame but to be fulfilled in times of distress. We are here to give hope. We are here...for such a time as this. Ellene Meece lives in Meeker, Colorado and works with her husband in their natural resource company while running her own online store, http://www.Grandmastreasuresonline.com. 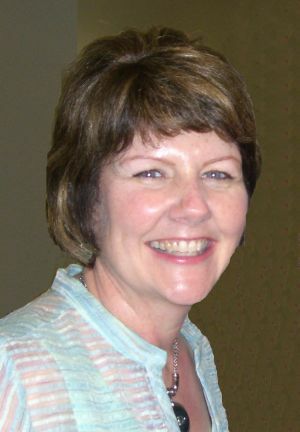 Currently, she oversees the marketing for the FMIN Business Ministry Partners. Thank you for this beautiful word of encouragement in the truth! !